Did You Grow Up Trying to Please Others? Did you grow up always trying to please others, searching for approval & the need for validation from others & learn to live your life ‘certain’ in the knowledge that were you ‘stupid enough’ to not only have but enforce boundaries with regard to your own life & that by doing so then others wouldn’t, or worse still stop loving you? However one thing has remained constant & that simply put is this we are ALL of using fighting our own battles & demons on many levels, BUT so are those we are both surrounded by & hold dear. When we are so close that we can’t see the wood for the trees and should one, if not both of us be prepared to see the other side then we get into difficulties. But there also ALWAYS comes a point when BOTH sides have no choice other than to take responsibility for their part in the problem…. Being brutally honest I’ve learned that in having grown up being a people pleaser & being afraid to set & reinforce boundaries for others in my life, that I had inadvertently become the root cause of the problem! But even so there comes a point in any situation when no matter how much we love, how much we give, how much we ignore, how much we hope that things will change for the better they NEVER will if the all important factor of RESPECT is missing! This is a monumental mistake & the crux of many a failed relationship…husband & wife, father & mother, mother & daughter, the list my friends is endless. In my humble opinion to love & be loved unconditionally is the greatest gift we will ever be able to give or receive because it comes freely, without strings & by definition without condition. Respect on the other hand is a privilege. One to be earned, gained if you will & borne on the back of many things and for sure my boundaries & yours will be as different as our fingerprints. Much like the boundaries themselves the reasons others will respect/disrespect us or themselves are equally as varied. The one thing that people forget is that if a boundary is important enough for someone to set it then it is important enough for the rest of us to respect it. Whether or not we believe it to be a valid boundary is totally irrelevant. The problem begins when boundaries & respect become inextricably intertwined with love. ‘If she loved me she wouldn’t ask me to do that”…! ”Whether he loves me or not he should respect my boundaries’…! If someone loves us unconditionally then we don’t have to honour & respect their boundaries – WRONG! If we truly love someone enough then we will provide them with the boundaries they need. Ones which will help & enable them to thrive & grow in this life, Ones which will allow them to live & learn & grow into someone who they CAN both love & respect themselves in order to enable others t do the same. If those we love & care for fall into the category of being someone who, no matter how hard you try, how much you give & how much you love continually & habitually not only ignore your boundaries but in doing so totally disrespect them & even go out of their way to cross them? If you need to change it then do. If you can’t change it then you need to accept it for what it is. If you can’t accept it then it’s time to leave for all else is madness. There are givers & there are takers in this life and yes there are those who successfully manage both but the question is how much of YOUR LIFE are you prepared to gift to someone who is unwilling or unable to at least meet you half way?? We ALL have limits and on a day where they have been reached the question is will you choose to let them become part of the solution or exacerbate the problem? I MATTER! I AM ENOUGH! This entry was posted in Blog Posts, Mental Health and tagged boudaries, honour yourself, I am enough, love yourself, mental health, mentally whole, people pleasing, respect, self respect, unconditional love on February 14, 2017 by Sue Curr | Fear Less - Live More. And let’s face it the job of the teacher…initially at least…falls squarely on the shoulders of our parents and carers. Without doubt parenting is the most important role with the most significant responsibilities around… not a statement I make lightly….and yet it’s practically the only job in the entire world which anyone can take on without any formal training. The second we’re conceived we become part of the lottery of life. As children our future is mapped out and there is little we can do about it until we take responsibility for our own life as we grow up. When we’re born our responsible adults start us on a learning curve that is never steeper than during our first 5 years of life. Every second of every day we are learning on every conceivable level largely without even being aware of it. When I say every level I do mean every level as babies we’re naturally programmed to react to and learn from everything our senses are being continually bombarded by. Our grown ups are aware of our responses to stimulation but unless we react suddenly to loud noises, they rarely if ever remember that children will and do listen.… all the time even when they appear to be engrossed in other things. It’s a common misconception that young children in particular are unaware of what is being said in their presence and whilst that may be true before we ”understand the words” it most certainly isn’t as we grow. It’s an error of judgement that can and does cause serious consequences for both the children that we are and the adults we become! The vast majority of parents or carers quickly get to grips with the mechanics of teaching the day-to-day practicalities involved in the rearing and shaping of us into responsible adults in our own right. Including the…for some….not too obvious aspects that form part of the package our spiritual, emotional and mental well-being. They simply ”forget” that children are like sponges soaking up everything including what’s said to, shouted at, spoken to others about, even muttered through clenched teeth….. at them! Children listen constantly especially when it’s about them! However for every well-balanced, secure, confident child that’s raised there are children who grow up thinking that they are stupid, naughty, noisy, cheeky, bad and who grow up to be less well-adjusted, nervous, shy, insecure with little or no self-esteem and for an unfortunate proportion of these children this tends to be the beginning of their journey through the battlefield of Mental Ill Health a place I’ve come to acknowledge as being the loneliest place on earth. There are far too many who are unwilling or unable to extend their duty of care to their offspring in a manner which sees them learn, grow and mature into whole, rounded, well-balanced adults in their own right and that’s where some of us come unstuck! Why? Simply because adults severely underestimate the power of the spoken word! As children we adapt very quickly to the circumstances of our day-to-day lives. If we have been molded to be timid or insecure, feel anxious or unloved we learn how to people please. We learn how to ”behave” because we’re afraid of doing something wrong or being lacking in some way and we grow up feeling stupid or worthless but most of all unlovable. It can take years to overcome the behaviour patterns, insecurities and traumas we may have experienced throughout childhood..some of us never do. Because we grow up believing that everything we have ever been told or have heard about ourselves from the mouths of ”our grown ups” must be true because they ”were big and we were small” and that’s just the way it is! 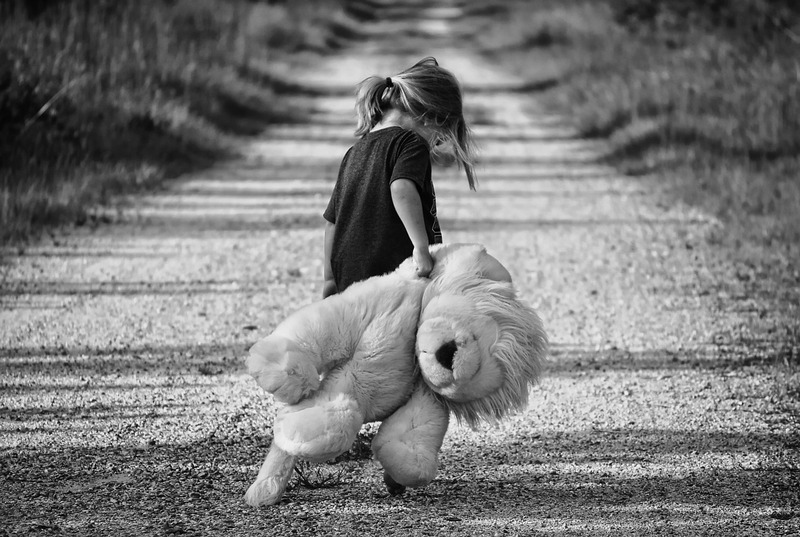 If as responsible adults we understood that it takes much less effort to raise a whole child than it does to mend a broken adult then life and this world would be a much brighter, happier place. Our children are but a gift, ours for a very small window of opportunity it’s our responsibility to raise them to be the best version of themselves that they can possibly be. We owe it our children to raise them properly and that means looking after their spiritual, emotional and mental well-being in equal proportion to their physical needs. They shouldn’t have to spend their lives trying to become who they really are……….I was lucky I now know without doubt that I am worthy, I am enough, I am lovable and funny and smart and anything else I want to be because I matter!!! 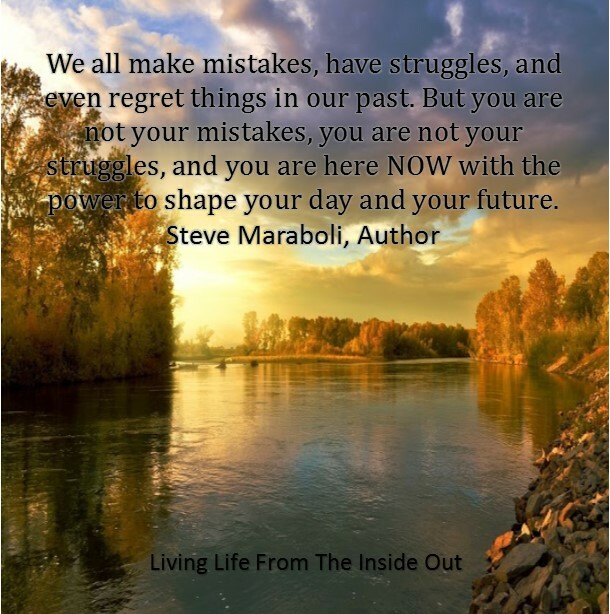 This entry was posted in Blog Posts, Gratitude, Mental Health, Self-Esteem and tagged children will listen, gratitude, I am enough, learned behaviour, mental health, mindfulness, parenting, personal development, recovery, self esteem, self worth, self-help, stigma on July 16, 2015 by Sue Curr | Fear Less - Live More. Time, we never have enough of it, right? It’s a common problem. An everyday occurrence. People all over this world of ours can be heard daily, sometimes several times a day bemoaning the fact that the precious commodity that is time is all too short. But when you think about it, REALLY think about it our lives are governed not so much by the harbinger of time….the clock……..but rather what we choose to do at any given point of any given day. It is our choices to do or not do something which impacts negatively on our lives and when we couple THIS with the problems we cause ourselves as a result THEN the situation caused by our inability to do or say something within a promised or expected time frame is the end result and we fall prey to the all too willing ally of time STRESS ! How we as individuals view the concept of time (our mind set) must also be taken into account when considering our stress levels together with how we can utilise this intangible commodity which holds such formidable sway over us, in a positive and user friendly manner. As with most things in life it can only hold the amount of power over us which we are willing to surrender. Whilst it is true to say that the world as we know it would cease to exist if time were to be abolished I’m inclined to suggest that as a species mankind would be so much better placed to return to their natural state of well rounded and balanced beings in touch with not only themselves and their individual needs and wants but those of their loved ones too. Every moment of every day not only could but largely HAD to be accounted for on the back of the invention of time as we know it! Time like money is a man-made illusion, a yardstick if you will designed to keep our lives ordered & manageable. It is both a blessing & a curse. The blessing being that it affords us the opportunity to plan & organise life in such a way that it becomes enjoyable, fulfilling , exciting even AND we can look forward with eager anticipation to things which we know will bring happiness & pleasure thus enriching our lives. The very fact that many, many people actively seek out ‘’quality time’’ to spend with loved ones, recharge their minds and bodies and actually choose to live rather than exist bears testament to the fact that in its purest form time can be a massive bonus and spent wisely a much needed relief from the rigors of life. The flip side however is that it can also become a curse which brings with it the burden of limitation, we become limited by the largely self-imposed time scales we set to achieve our objectives, be they in the work place or in our ‘’real’’ lives and thus the joint realities of pressure and stress rear their heads. Forever keeping one eye on the clock for fear of falling short in some way. The key as with everything in life has got to be balance. My Nan could often be heard to say ‘’a little of what you fancy does you good. Everything in moderation never harmed anybody’’ – she was quite correct. So that said, surely it should follow that we become naturally mindful of the fact that there are only 24 of the man-made illusion that are hours in any one of the given 365 illusions that are days in an equally illusionary matrix of a year and so on. As such then the ‘’time available’’ to us becomes by definition both finite & constraining in nature. Sadly we humans are not perfect and our obsession with time and so its management instead of being our blessing becomes by default the thing which becomes the master to our self-imposed slavery and thus our curse! For instance on the odd occasion when for once we may have time to sit, be still & perhaps relax in the company of special people or in a place of natural beauty & are thankful to be doing so, the illusion of time can even then be cause for anxiety as we perhaps begin to feel the burden of guilt bring force to bear as it prompts us to remember things left unfinished or even worse not yet started way after they should have been. As a species man has in part lost either the habit or ability (possibly both) to disconnect from the treadmill of a life, that no matter how hard we try to tame it, is largely executed as a result of the dictates of an invisible time lord and ultimately the anxiety associated with the often impossible task of meeting deadlines or keeping promises rashly made increases by default causing angst and stress, even emotional turmoil along the way. Time related anxiety may be brought about perhaps because we have little or no control over any external factors which may be threatening to derail our efforts to either resolve problems or finish a project for instance .Thus the curse of the illusion of time brings with it a pressure which is almost unbearable as you see the keeper of time…..the clock……slowly, relentlessly but or so very surely tick by as it moves ever closer to either the conclusion of a scenario or the start of new beginnings. The metaphoric sound of every single tick, each signalling the fact that we are one step closer to that which is unfolding and know we have no choice other than to relinquish control & trust that whatever happens is how it has to be whatever the outcome; positive, negative, happy or sad. The element of curse remains in this instance to remind us that we should always make or have made use of every single one of the ‘’man made’’ seconds in our life leaving nothing undone nor unspoken for fear that the after effects of those uncompleted acts alone will become yet another self-imposed cause for regret – that the illusion of time has been wasted. In fact it is not time which has been wasted simply because if we take it as a given that it is indeed an illusion then by definition it does not exist! This ‘’thing’’ then that has been wasted must only be that of opportunity. The opportunity to have acted on feelings, the opportunity to have addressed any given situation which may have been the cause of anxiety or stress or fear of the unknown. The opportunity to validate ourselves & our loved ones each & everyday is surely the essence of which is why we are all here & why we should very definitely take the curse of this man-made illusion and turn it very firmly but positively around and neutralise its negative aspects by using the time calmly, wisely and with purpose allowing us to be safe in the knowledge that nothing has been left unspoken or undone thus limiting the impact of regret which when coupled with this perceived thing called time can, if we allow it become a self-imposed prison from which it can be almost impossible to free ourselves……. !! If we are diligent in our efforts to offset the unwanted attention of and undue pressure from our illusionary ‘’friend’’ by being mindful of its adverse effects, then every day will see us become increasingly aware of the need to adopt an attitude which will see us address each and every situation requiring our attention and as a result we will have overcome that thief of time: procrastination. In having done this we will by definition have more of it at our disposal and will be both willing and able to effect lasting positive changes in our lives overall. In reality living fully in 21st Century mode means we will rarely if ever come close to living as nature intended; by the sun. BUT by practicing the choice of mindfulness and taking responsibility for our actions and reactions to the demands which time consistently and persistently make upon us we can come closer than we would perhaps think. More quality time to spend with loved ones, more time to practice the art of Self-Care, more time to do more of the things you love or would love to be able to do. In short more time to improve the overall quality not only of your life but that of those you love. In having chosen to react positively as opposed to negatively and claim victory with regard to LIMITING the stifling constraints of time and its unwelcome side effects then we have without even realising it enabled ourselves not only to overcome hurdles be they real or otherwise but by association, diminish the all too real impact of both stress and pressure. This entry was posted in Blog Posts and tagged a little of what you fancy, Blessing or Curse, Buddha, choice of mindfulness, everything in moderation, I am enough, Live & Learn & Love & Grow, living life from the inside out, mindfulness, procrastination thief of time, responsibility, self care, taking responsibility, Time, willing to surrender on February 1, 2015 by Sue Curr | Fear Less - Live More. Mistakes! We’ve all made them right? 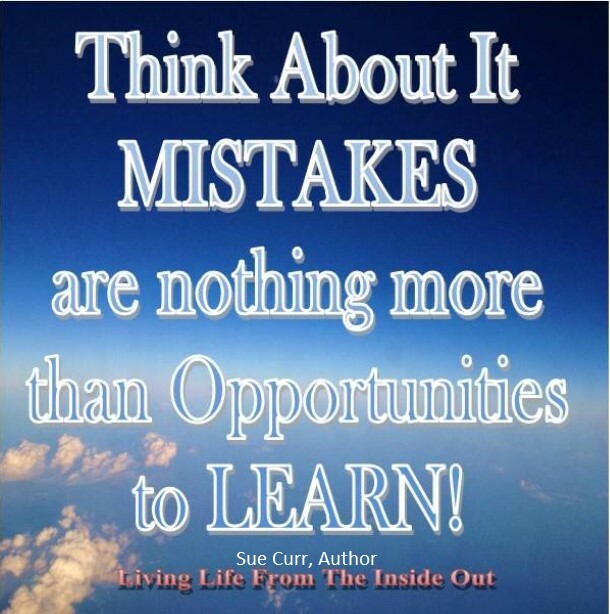 We all of us make mistakes some tiny, some huge & a small percentage of which could potentially be disastrous. In times of stress or emotional overload the propensity to make mistakes increases and because we are human so does our need to apportion blame. That blame could be leveled at us or by us towards ourselves as well as others and dependent upon our interpretation of the gravity of it so the level of blame and by association guilt increases in line. Rarely does a mistake happen without an accompanying negative reaction in response and very often it is the reaction as opposed to the action (mistake) which is the cause of most stress for those concerned. Alongside that runs the at times almost overwhelming need to right perceived wrongs, justify how/why the mistake was made (to be fair sometimes by trying to absolve ourselves of any blame) and moreover apologise profusely & repeatedly as if insistent repetition of sorrow will right any adverse effects of the said mistake. However the single biggest error of judgement we any of us make in the above scenario is that we quite simply forget that we are indeed human and as a result of which we have the option of choice and it is this factor alone when making decisions which is responsible for mistakes being made! Think about it there surely can’t be anyone who falls into the category of having made a mistake, taking that as give, the only thing that makes each of us unique in this area is our reaction. What is it that can determine such variety & extremities of emotion in situations which are perceived as being wrong in that a mistake has occurred? It has to be purely a matter of mind-set. There are those of us who go through life apparently oblivious to the results of their actions & to be truthful probably wouldn’t care less if they did. In stark contrast there are those who rather than cause upset, inconvenience or harm albeit unintentionally would go to the ends of the earth to avoid doing so. Speaking for myself I accept that as a human I can & do (frequently) make mistakes and to be honest as each and every one occurs my reaction is dictated purely by the circumstances surrounding it as opposed to the actual ‘’error’’. For instance my reaction is more likely to be highly emotional if any mistake I may have made should impact negatively on another. Whereas if I poured milk on a desert instead of cream I would simply laugh at my own ‘’stupidity’’. In both scenarios though I would these days definitely adopt the sentiment that ‘’a mistake is only ever a mistake if we fail to learn from it’’. It wasn’t always the case; as a person it took me a very long time to understand that making a mistake, any mistake is not only ok it’s actually acceptable because generally speaking it’s simply an error of judgement which at the outset wasn’t meant to intentionally cause harm. That said I could, would & still do even now on occasion fret, worry & obsess that something I had done or said maybe could have caused someone else at best an inconvenience, at worst a massive issue as a result. At times when an apology and/or reparation were rightly made (& accepted) even then I would work myself into a near frenzy as I allowed myself to become convinced of the fact that the only reason my apology had been accepted was nothing more than good manners on the part of the ‘’injured’’ party and that despite their acceptance they didn’t mean it because (in my mind) I was an idiot at the very least! This statement alone says so much more about the frailty of the human psyche than anything else I think. The fact that even having been absolved of blame I (anyone) could & did refuse to accept that whatever the transgression, in the bigger picture of things it really didn’t matter and in many instances hadn’t even registered for anyone else. Ere go what is important to one person is often not even a consideration for the next. A mistake is nothing more, nothing less than an error of judgement which was never meant to harm, distress or ridicule any person, thing or situation. As such it is a waste of time and effort to pay more than the minimum amount of attention to it in order ‘’to put things right’’. The need to punish ourselves or indeed others for the mistakes we/they make has become almost second nature for us a species. We are all too ready & willing to jump on the universal bandwagon of negativity because truthfully it is often the easier and more popular option. This journey through life can at times be difficult enough without inflicting negative self-talk upon ourselves when there really is no need. As with anything that is worthwhile it takes time & effort to be mindful of the fact that we’re all of us doing the best we can day to day and whilst we may not live up to the expectations of ourselves let alone anyone else then it really, really is alright because there is not one of us on this planet who is perfect. We are ENOUGH just the way we are! This entry was posted in Blog Posts, Mental Health, Self-Esteem and tagged apportion blame, Barbra Streisand, definition of insanity, Einstein, error of judgement, grateful, gratitude, I am enough, intentionally cause harm, lessons to be learned, living life from the inside out, making mustakes, mindfulness, mistakes, positivity happiness, stumble or fall, wisdombywaggy on January 25, 2015 by Sue Curr | Fear Less - Live More. The singular thing we all have in common. However having said that there are only actually two things which for sure will happen to us all. Equally true is the fact that many of us do actually treat the experience that is life as a final destination. We all too easily lose sight of the fact that it is actually a journey. Each day, for each of us is completely unique and thus our journey in turn becomes as individual as we are and in all honesty most of us never even consider that it is our choices along the way which make it so. The amazing thing is that we all of us do have the power of choice. It is after all the most basic of our rights as humans. We can all of us, if we so choose be compliant and ”allow” life to happen to us OR we can become proactive and choose to be the architect of our own journey and subsequently our destiny. Those choices in turn have the power to alter your life for the better or worse. Any given point on your journey through life is in direct correlation to your words, actions & attitude and it is you alone who are responsible for it. There are those amongst us who will say ”Oh no it’s not my fault… ?? ?… did this, said that and so on which would all be very true HOWEVER the key here is that the other person is the one who has to take responsibility for their actions whilst it is YOU alone who must take responsibility for your REACTION to the situation/ feeling they created. You have the power to allow or disallow how anything impacts upon you. You can CHOOSE and it is this choice alone which will dictate whether you are compliant in or an architect of your life, your FUTURE! So having urged you to be mindful as you go about your day tomorrow you should consider the possibility that you have inadvertently become compliant in ”allowing” your life to just happen to you. If you should come to realise that you have in fact been ”happily” accepting your lot then it may come as somewhat of a surprise to find that you have always had the option of CHOICE. Indeed at times it will be very far removed from these two particular emotions. The difficulty comes with the slow realisation that (in many instances) we have been accepting the unacceptable as being the only option open to us without ever having truly considered any alternative just because ..”that’s the way it’s always been”….! When you think about it would you buy meat from the same butcher every week regardless of the fact that it had ”gone off” just because your family had always shopped there? Of course you wouldn’t because you would be able to see, smell & taste the badness. However when it comes to something as intangible as ”happiness” our recognition and/ or acceptance of it is based on the largely intangible, meaning that whilst we can witness someones happiness by seeing them smile, we cannot touch it, taste it or smell it. By default therefore we become more inclined to be accepting of something which cannot be physically evidenced as being otherwise and as such it enables us to trust that things are as they should be. After all how often do we say things such as; ” it was just a gut feeling” about something? So having decided (which in itself is a choice) then that everything in life is a choice, let’s take the a fore mentioned emotion of happiness. People have often said to me things like ”you’re either happy or unhappy, that’s all there is to it” I would for a long time have agreed with them UNTIL that is I had my own what I like to call ”light bulb moment” and realised that I like you can choose happiness. It took me quite a while to get into the habit of choice and for me it became easier when I realised that the opinions and or actions of others for instance, could only hold sway over my emotions if I ALLOWED them to. The bottom line is that we all of us have responsibility for what we allow in our lives. For me I have actively chosen not to allow or embrace negativity from any source. If we try and remember that the negativity we encounter on a daily basis particularly from another person is THEIR negativity and as such has no place in or power over our lives we soon come to realise that it’s just a small step to choosing between a smile or a frown! ”You’re never fully dressed without a smile!” and it feels AWESOME!!! Happiness you will come to understand is not only a choice but a way of life and it’s contagious so………..what are you waiting for??? This entry was posted in Blog Posts and tagged acceptable, allowing ahppily, amazing, balance, be mindful, become proactive, Bi polar, born, choice, choices, choose to be compliant, deserve, deserving, die, dont be o hard, enough, gift, grateful, gratitude, happiness is a habit, I am enough, imperfect, J.K.Rowling, life choices, Living Life From The nside Out, necessary, negativity, positivity, positivity happiness, power of choice, power of positive thinkingwisdombywaggy, reaction, responsibility, self care, we will be born, we will die, whole, yes on January 12, 2015 by Sue Curr | Fear Less - Live More.